Has Netflix Renewed Their Contract with BBC? Thanks, Luthen. It’s a great message on a Monday morning, and my optimist is clinging onto it. Not because I need to watch the Netflix version of North and South, or MI-5 (Spooks) or Robin Hood, but because it’s such an easy way to turn potential fans onto Richard Armitage. edit: Spooks is not staying. Bummer. Fans should ‘plain that “Fawlty Towers,” “Blackadder,” “MI-5″ and “Red Dwarf” will no longer be available on Feb. 1. I got a ginormous curve ball today, and I’m in the middle of grappling with it. 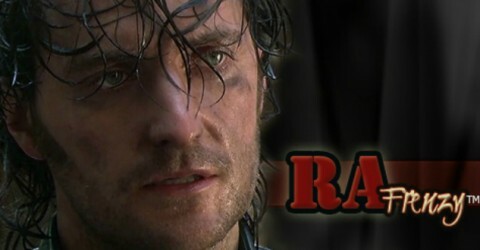 But I will be back in RA Universe later today (at least today by American time). Wow, spell check thinks ginormous is a word; imagine that. Here I thought it was slang. Sorry to digress, and I really can’t type much longer as I’m off to finish something vital, Afterwards, I’ll be back to talk North and South. Yeah, that’s right, we’re going to talk about you, Rich, and probably a few others. I also have to start pumping out my dwarf posts. Had to get my head out of the premiere debacle and back on the fun. I’ve done that now, so look for more on that. 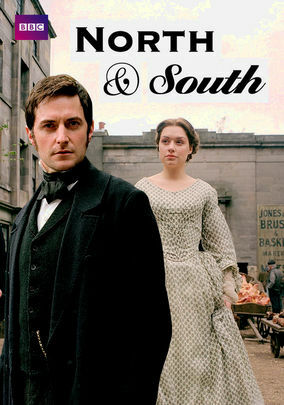 If you’re a Dish Network subscriber in the U.S. and a Richard Armitage fan, and you still haven’t bought North and South on DVD, then you’re in luck. This Sunday night, it’s playing (all four parts) on the Inspiration Channel. And maybe this will be available via other cable/satellite providers. I really wouldn’t know since I haven’t watched cable/satellite tv in years. Anyone wants to chime in with what they know, go for it. For those of you thinking to pass it up and just watch on YouTube ’cause it’s still there and you really don’t need to buy the DVD, the Lindmas channel that hosted it for a few years has been terminated, and the one that has the four full episodes is probably not too far behind. Starts at 8pm Eastern Daylight Time according to the INSP schedule. What is your problem? Seriously. One of Richard’s fans who has supported you unfailingly for years. How about a little give on this RA thing, please. P.S. In case you don’t know what I’m talking about, check it out here. edit: LOL! I left out ‘fan’ in the first sentence, but I imagine most of you supplied the word. Sometimes life hands you something you didn’t know you needed. Or even were looking for. Richard Armitage. It is a name that a year ago I would have said, “Who, the politician guy?” and Googled him to check. The actor’s name would have meant nothing. Now? I do not know enough words to express all that I feel for the actor guy. I still would need to Google the politician. What I have been pondering and mulling this past year is simple — and complicated. Why Richard? Why me? What just happened? Mid-March of 2012 found me with the Netflix DVD of ‘North and South.’ It had been in my queue for probably two years, but I never made a move to watch it. While the story sounded slightly depressing, it was there because it was Elizabeth Gaskell. A drought in British period dramas brought it to my house. I hate to say that my viewing of this was with “the family.” That is never a good idea with period pieces, which do not hold the attention of a large portion of the inmates. But I remember the first moment I saw Richard on screen. And while I know this is not true, there was complete silence, at least in my head. I don’t remember coherent thoughts. It was more a wordless recognition. Just … there. The voice hit me next. It was so much to process that it was only later when my head said, “Chocolate.” And for me, it wasn’t just any kind, but this particular mocha buttercream I make for the yule log each year: rich, a little sweet, smooth as silk. Since the show was divided over two discs, I had to wait an entire week to get the second half. By the time I got to the kiss to end all kisses in the history of romance, not to mention the future into all of eternity or any parallel universe, I was attempting to remain sensible. This was assisted by the presence of “the family.” After they toddled off to bed, I replayed that scene a shocking number of times. Somehow I was able to stop myself, only to go to the DVD extras to watch the man who played John Thornton masterfully and with such nuance. Awkward. Uncomfortable. Stumbling over his words a bit. This was the man who just made John Thornton tear a hole in the space-time continuum? I found him endearing. Sincere. Real. And when he started to discuss the responsibility of playing his character, he said a few fateful words that stopped me short. He talked about his character living for 150 years on the page. Ah. Imagination. Richard Armitage had imagination. I am not sure how the craziness played out over the next few weeks. It is a bit of a blur. I decided to watch his work chronologically if I could find it. That meant “Robin Hood” was up next (what? a bad boy? conflicted? smirking?). I found myself overwhelmed by the sheer volume of content on the Internet: fan sites, blogs and everything in between. I darted about when I had time, hearing echoes of my own reactions wherever I went. Did I say echoes? I meant the keening cry of a siren’s call. I was Odysseus floating on a sea called denial. Around June I was starting to question my sanity. What was I doing? I felt an incredible need to watch this man work, crafting characters where Richard disappeared. He was a chameleon, shifting in and out of roles where he looked remarkably different from himself, and it wasn’t due to makeup or prosthetics. Eclipsing that need, however, was a desire to understand his motivation. Almost daily I was looking up interviews, scattered at first, but then starting with the earliest and moving ahead, wanting to see how he grew and changed in those years between ‘North and South’ and now. It was those interviews and commentaries — along with the letters to his fans — that brought me to the conclusion that this was a decent guy with a wicked sense of humor, a man who embodied a lot of my ideals. Much of the time, I felt as if he reflected me: staying in the background, giving praise but not comfortable getting it, working hard to do the job not just well but excellently, living honorably. The list only grew. It all made me admire him more. None of this happened in a vacuum. Life was swirling madly about just like always. Family was crazy, work actually went to an even crazier place in May, June and July, and I was working on my own web-based garden site that I launched in December 2011. There was a dog to keep entertained, a vegetable garden to tend, summer projects to start, friends to visit …. The list was always endless. The majority of my entertainment was watching shows with Richard in them. In July I started to examine what I was doing. Why? That is forever the question I ask. Who, what, where, when and even the how are just facts. It’s the why that tells the story. Why Richard? Why me? Why all of this here and now and in such an intensity that, I now admit, frightened me? I needed to write something. Anything. It took a form of a letter to Richard in my head. It morphed and changed. Edited, rewritten and edited again. Then Comic-Con happened. In nearly real time, I saw Richard giving interviews and being wholly charming. There was a twinkle in his eyes that his beard only emphasized. He was articulate and again earnest in his unmistakable love for what he was doing. At that point, the urge to write was overwhelming. I write. It’s what I do. It’s the place where I can be honest to myself about everything. And why I was denying myself that was because it was important. I knew in my soul it was important. Either I couldn’t admit to the why or I didn’t know the answer myself yet. Eleven days later, after a long day taking care of my grandmother who had cataract surgery early that morning, I wrote. Longhand. And wrote and wrote. Several hours later I had a letter to Richard. I tucked it away and actually believed that had done it, that I would wake up the next morning and be able to let this go.